After 17 years of debating with the public on his morning chat show, you could argue that Robert Kilroy-Silk never really left politics. His election as an MEP in the East Midlands takes the silver-haired 61-year-old back to the career he left to become a household name. Born in Birmingham, Mr Kilroy-Silk was educated at the London School of Economics and worked as a university lecturer before becoming a Labour MP. He later left claiming the local Labour party had been overtaken by the Militant Tendency. He opted for safe Labour seat Knowsley North following the 1983 boundary review and served on Labour's frontbench as a home affairs spokesman. But three years later he quit to host the BBC's Kilroy show. Mr Kilroy-Silk has insisted he has no regrets about abandoning the serious work of politics. He once said the BBC expected him to do Newsnight or Question Time, but that he found Kilroy "more interesting and it paid more". It was a career that saw him brush with controversy on more than one occasion, most famously in his Sunday Express column describing Arabs as "suicide bombers, limb-amputators, women repressors". While he insisted he was a right to express his views and claimed to have widespread public support, the comments saw his show axed and him leave the BBC. The row was not the first time the TV host has been accused of racism or xenophobia. He has attracted criticism for comments about asylum seekers and Irish people. The presenter's show fell foul of TV watchdogs. In 1998 it was rapped by the Broadcasting Standards Commission for a scene in which a guest exposed himself on live TV. The BBC said the programme team had been "taken by surprise" by the incident, which prompted five complaints from viewers. Nevertheless the corporation apologised to the BSC over the incident. In another run-in with the BSC, Mr Kilroy-Silk said the BSC's £2m budget would be better spent on the NHS. This time, he was responding to criticism of the Kilroy show, which the BSC had branded "victim entertainment". The presenter, who hosted the show for 17 years, said the organisation's budget could be spent on "630 hip operations or 345 heart bypass operations". He denounced the BSC's attitude as "patronising" to his guests. 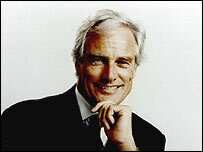 Married with two children, Mr Kilroy-Silk's personal life has also hit the headlines at times. In 1990 his son Dominic was sent to Ford open prison for 10 months after pleading guilty to a £350,000 mortgage fraud. And five years later it was reported he had a secret love child conceived when he was an MP. But his return to the political fray again shows he has no desire for a quiet life. He even declared: "I don't do humble." He says he will consider taking over the UKIP leadership and standing to be an MP in Westminster. His election campaign saw him quoted as saying he would spend little time at the European Parliament if elected. If he does attend, he is unlikely to hold back when voicing his Eurosceptic beliefs, promising to get Britain "back from Brussels".